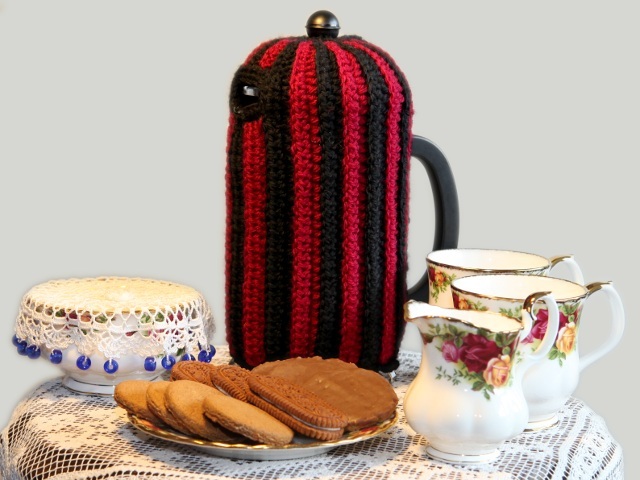 I have wanted to make a cosy for my coffee plunger for some time. While I was experimenting with a bicolour version of the crochet brioche I used for the tea cosy (see /CrochetBriocheCosy/) I came up with this pattern. 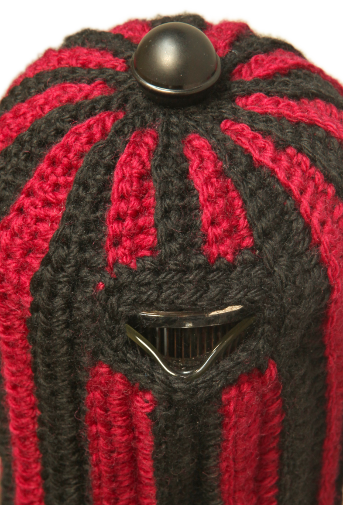 The stripes narrow at the top to create the curve required for the lid. The gaps for the handle and spout are easy to change to suit various plungers. You can also adjust the height and width but I do recommend that you make one in the original size first so that you can learn just what needs to be tweaked to fit your plunger. If you don't use that cosy yourself it will make a welcome gift for almost any occasion. While I have made this in just two colours it could have been made, had I wished, with a different colour for every stripe - but then, of course, I would have a good deal many extra ends to tidy away. Still, you can work over the ends as you go in crochet so this isn't as daunting as it sounds. 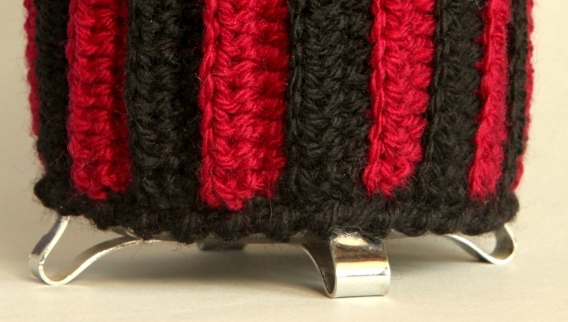 As with the tea cosy, if you'd like to shag this cosy to make it extra-thick and self-lined there are convenient lines of loops available on the inside.